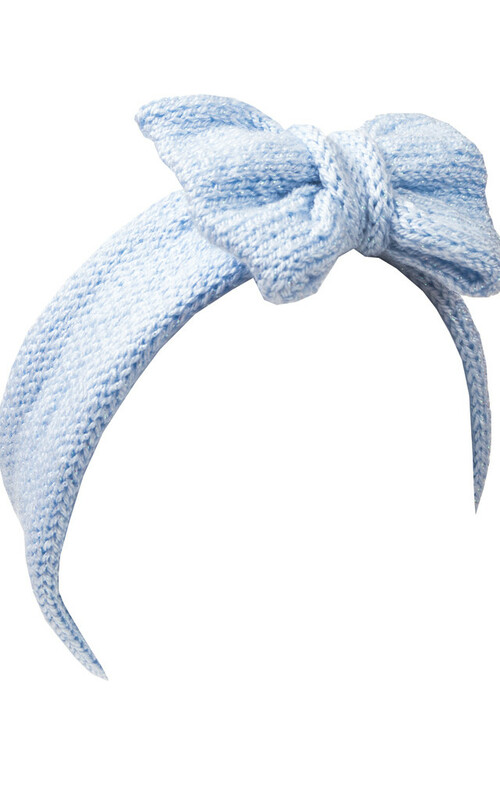 This glitter baby blue knitted bow headband is an essential, cute and cosy ear warmer style hair accessory to see you through the chilly months! 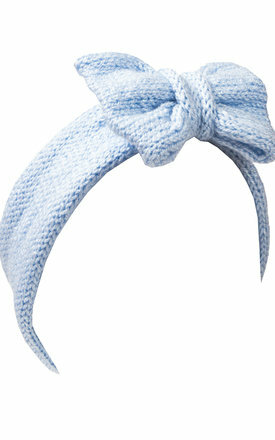 The shimmery, pastel baby blue shade is perfect for adding a hint of girlyness to your look. This headband has been knitted with a lovely, soft, sparkly glitter wool; the shimmer is so sweet and is what makes this knitted headband truly unique. Because of the way it is made, you can pull the bow out as much as you like to make the look work for you. Furthermore, you can either wear the bow to the side of your head or on top, either way, it's the most adorable option this winter!